And they were also handing out sandbags at Manning Park to folks like my friend on EVR. The fireman handing them out who said he lives in the voluntary zone stated he was leaving with his family. And, another question: why is the fire department spending resources and skilled personnel handing out sandbags? Seems to me the BOS needs to get someone from HBS, and expert manager to come and straighten out county management. Th role of County Fire in this tragedy is little understood. Basically they were excluded from the preparation for winter flooding which was managed by the Office of Emergency Management, County Flood Control (Public Works Dept.) and the Sheriff. 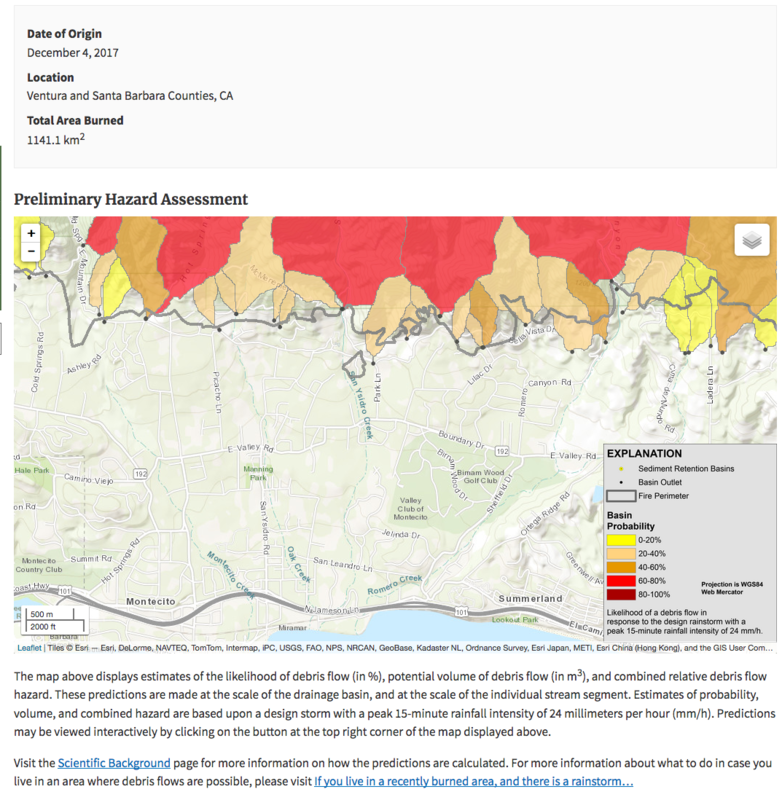 In my opinion had the Fire Department been in charge of preparations mandatory evacuations would have been based on flooding potential as depicted on numerous maps readily available. And perhaps 23 people would be alive today. I agree the Fire Department seems to be the most qualified, based on their demonstrated and typical roles in prevention (looking forward to identify and remedy risks) as well as mobilizing and fighting. However, drawing up and having the ultimate decision as to the evacuation zones for situations other than fires and communicating such to the public seems like what OEM should do. In fact, they sort of do that, but not very well. That was and is the problem. I am also hearing that the predicted flow path map, evidently made public on Jan 5 (I did not see it until a week later as published by the SB Indy), was evidently covered over by the broad brush of red and yellow when the SBC map was published on Jan 8. Had my now dead friends seen that flow map, or been advised to evacuate, they would have. Their car was packed and they were ready. I lived in Montecito from ‘61 through ‘78 and experienced the whole range of fires and following floods, both on Sycamore Canyon and then on Parra Grande. Even in “normal” rain years, the cavalcade of rocks and boulders rolling down Montecito Creek was enough to make me question the advisability of living in the area. 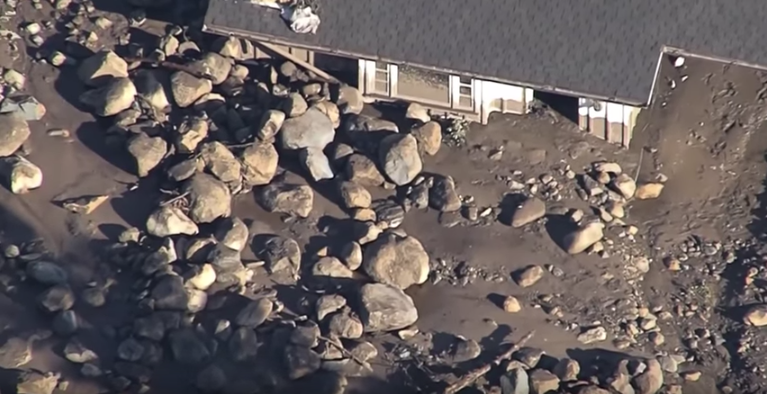 After the Coyote fire, the big rains dislodged some extremely large boulders, one of which ended up sitting directly on the foundation of a garage on E. Mtn. Drive that was at least 25’ in diameter. It bowled over an unknown number of Oaks on it’s trip down the mountain, and the only thing that stopped it was that opportune flat spot. My feeling at the time was that human beings tend to be extremely myopic concerning where they choose to live and how they choose to build. The big draws in Montecito are, of course, the trees and the view. You get the (mistaken) impression that the forest has been there for aeons and that it is therefor safe and secure to live in it’s midst but, like the whole idea of living on a virtual precipice, it’s hard to see the forest for the trees. 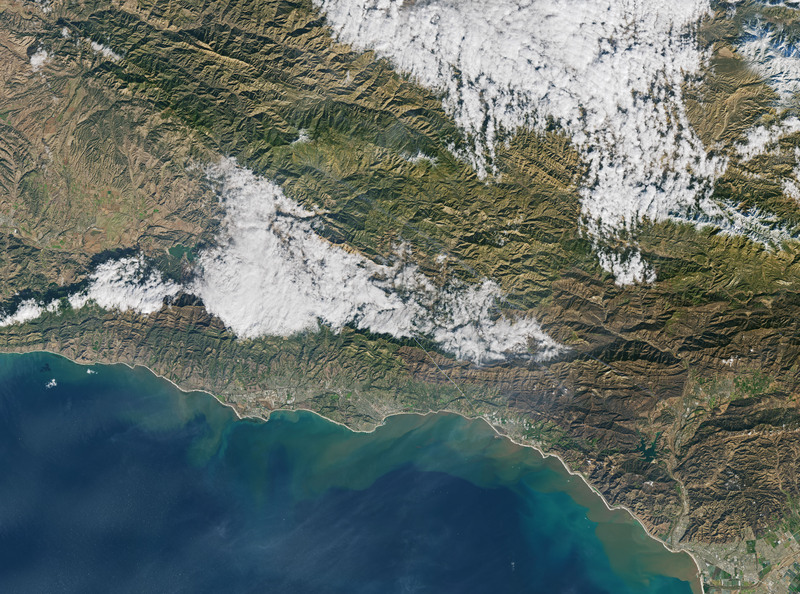 It will take many years for the decimated plant communities to reestablish themselves on the steep face of the mountains, and because of this, Montecito will remain vulnerable to more – and potentially worse – similar events until some mitigation evolves in the form of new root systems. And then there’s the fire problem. It is regrettable that we are led to worry about climate change, but present and immediate data of threats are ignored. Lee, climate change and immediate dangers are for the most part two different subjects, and many people ignore one, the other, or both. 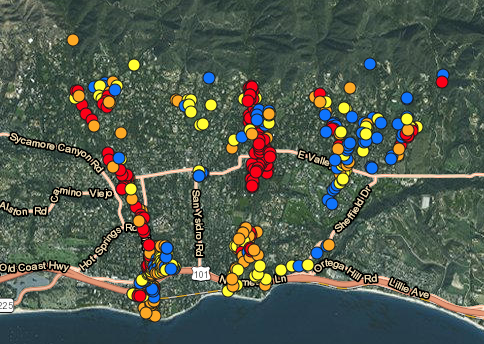 It will take a while to fully process what happened to Montecito, including the plain fact that debris flows will happen again. So also will fires, earthquakes and tsunamis. To live where we do requires equally high degrees of appreciation and vigilance. I have to say that this guy is seriously lacking in smarts. As someone once said, “”Let me tell you about the law of holes: If you find yourself in a hole, stop digging.” I suspect that Lewin would be out of a job except for the fact that to fire him would be an admission of the County’s culpability in the loss of life. And that could bite the County very hard in the coming lawsuits. Thanks Doc. This was worth the read, interesting, informative and well written. Hello to Joyce! If you are around let us know, maybe we can catch dinner.